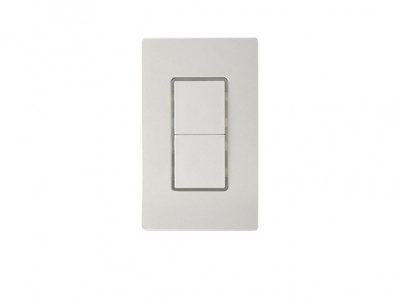 The PBS type push‑button switches are designed to fit in a standard NEMA wall box. These sleek, low profile switches provides low voltage momentary contact signal for a power pack or BMS to activate the operation of electrical load (such as lighting, fans, or HVAC) via pressing the button manually. Pluggable type terminal blocks makes low voltage wiring connection a quick and easy job. A screwless snap‑on wall plate is supplied to create modern, high‑end appearance for all kinds of commercial spaces. The PBS‑7xx series are available with 1 pole or 2 pole models.